KarateThrows.com is your guide to learning the most devastating sweeping and throwing techniques in karate. With your subscription to our instructional video content, you can work through our step by step approach to understanding and improving you karate sweeps and throws. Are you up to the challenage? Sensei Rob DeAngelis' passion is to share his love of karate with his students through personalized, motivating and insightful instruction. His focus is on conveying the importance of details and how they come together to produce powerful techniques and confident students. Your subscription to KarateThrows.com gives you complete access to our instructional video library. Over 100 videos! Your participation earns you more than just access to videos - you'll also be able to receive personalized advice by sending us a video of your moves. KarateThrows.com offers a monthly or yearly subscription. Be sure to checkout the new videos recently added to KarateThrow.com. 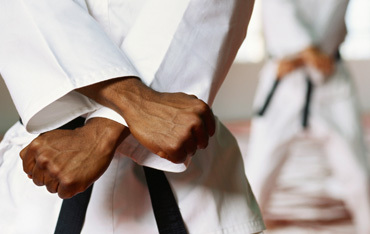 Our newest series features Shootkan Karate Euro Kata, KIHON (Basics), and Kumite Requirements. OVER 100 VIDEOS!